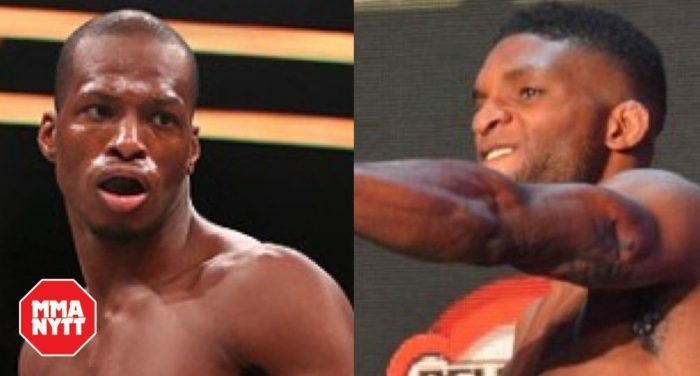 Both Michael Page and Paul Daley give their latest thoughts on whether they will ever fight in Bellator MMA. Michael “Venom” Page and Paul Daley have arguably had one of the most bitter rivalries in Bellator MMA and the score is yet to be settled. Talk of a fight between the two British welterweights has been bubbling under the surface for years and it’s a well known fact that Bellator have approached both fighters multiple times about making it happen to no avail. With Daley set to meet Jon Fitch at Bellator 199 on May 12 and Page taking on Dave Rickels at Bellator 200 on May 25, there will no doubt be further talk of the two finally meeting inside of the Bellator cage come the end of the month. With so much water already under the bridge, MMANytt.com got the latest from both sides of the fence to see if this fight will come to fruition. On Saturday night, Daley will make his return to action against former UFC title contender Jon Fitch in one of the featured bouts at Bellator 199 from San Jose. In theory, Daley is stepping into a lion’s den by fighting Fitch in his backyard while taking on a wrestling based opponent, who is more likely to take him to the ground versus someone like Page as a striker. Still, Daley says that Fitch was a bigger name and a larger draw, which made this fight more enticing at the time than facing someone like Page. “I don’t mind the fight. I think Fitch is a name more so than MVP,” Daley said. “The MVP fight is always there. Fitch is a huge name. He’s fought for titles in the other promotions, the UFC, and he’s always been one of the pound for pound best. It’s a big fight. Stylistically, I haven’t done well against wrestlers so it’s another opportunity for me to prove that I can handle these wrestlers. As far as eventually facing Page down the road, Daley has made it clear that he only has two fights remaining on his current Bellator contract including the bout with Fitch on Saturday night. After that, Daley plans on walking away from mixed martial arts to potentially pursue other avenues such as kickboxing. Still, Daley isn’t closing the door on a fight with Page as the way he says goodbye to Bellator later this year. Page has made no secret of his desire to fight Daley and has claimed multiple times that Bellator have approached him with the fight. Speaking last week, the London Shootfighters man implied that the promotion wanted the pair of them to headline Bellator 200 in London later this month, but that it was Daley who chose to instead pursue a fight with Jon Fitch. Suffice to say, Page was not amused and feels like it the fans that have missed out. “Why would you turn down the main event for one of the biggest Bellator cards ever on your home turf? I just don’t know what he’s thinking. I just don’t care anymore. I just got to focus on myself,” Page said. Whilst not totally closing the book on a future fight, for the minute at least it appears Page no longer wants to spend his time thinking about Daley. That can all change come May 26, but from Page’s point of view, it looks like the fight isn’t even close to happening. “I can’t say anything about it anymore, I’ve zero respect for him,” Page said. So will it ever happen? Jim – What a mess eh!? If this fight doesn’t happen then it will probably go down as one of the biggest opportunities missed in MMA, especially from the UK perspective. Daley has made it very clear that he’s coming to the end of the road and that he’s really only looking at one or two more fights before he hangs up the 4-oz. gloves. Will one of those be against Page? I still think it will be and I think it could even happen before the end of the year. Bellator have made it very clear that they’re focusing on the UK as a core market and with more shows expected later this year I don’t think it’s out the realms of possibility that we see it happen at the back end of 2018. There are hurdles in the way and one of them will be whether Page can overcome Rickels at Bellator 200. If he loses, Daley won’t fight him that’s pretty clear. Should Daley lose to Fitch however, it’s not the same thing and it’s arguably still in Page’s best interests to take the fight. I’ll therefore end this on the note that Page vs. Daley does take place, but only if Page stays unbeaten following May 25. Damon – There aren’t many fights that you feel have to happen but this certainly seems like one of them. Considering Daley has been a stalwart of the U.K. fighting scene for more than a decade while building a reputation as one of the most vicious knockout strikers in the history of the sport and Page is being touted as the next big thing, it just makes sense. Add to that, Page has received criticism for not taking on tougher competition and there’s no one who would doubt his resume if he fought someone like Daley. The question really becomes Bellator being wiling to risk a future superstar in Page against a fighter in Daley, who has made it clear that his time left in the sport is limited while taking public shots at the promotion for grievances he has with them. Bellator CEO Scott Coker has taken risks like these before by putting a big fight on a major card where at least one of the fighters is on the last bout of a contract so it wouldn’t be out of character for this matchup to come together later this year. It just feels like it should already be happening at Bellator 200 in England as opposed to waiting until the summer for fans to even have an opportunity to enjoy this matchup.